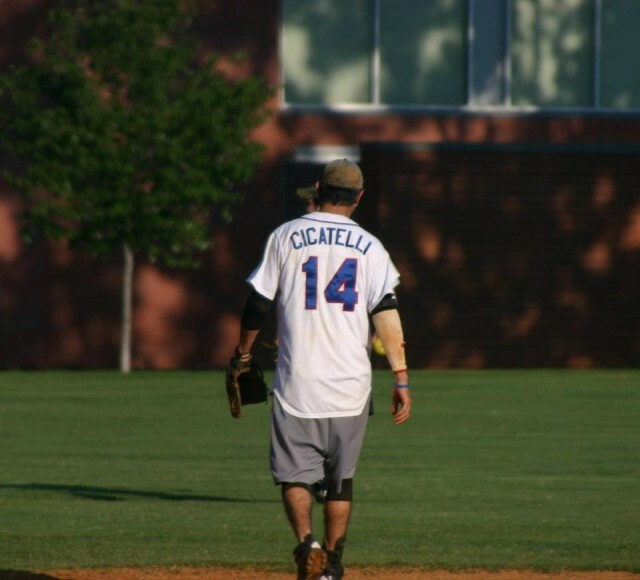 Whether he’s surrounded by a cloud of diamond dirt on the sandlot, getting creative inside the television studio, or recording the latest in a string of podcast episodes at his home studio, Chris Cicatelli is known throughout the DC area — especially among a couple different softball leagues. 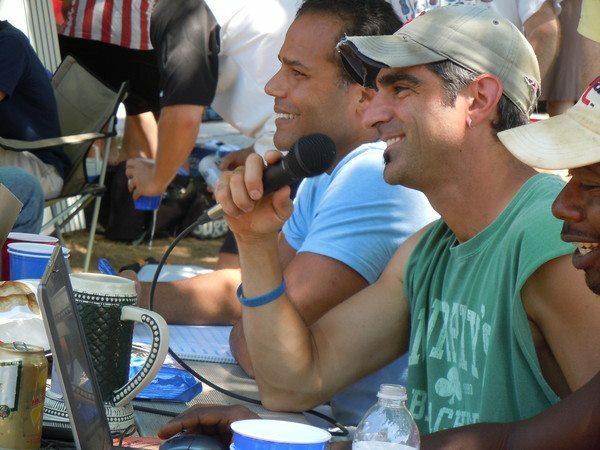 His charismatic personality coupled with his love for being around people are attributes that people flock to, particularly when he’s acting as his infamous alter ego: Coco Caray, sports announcer. I moved to DC in 1983, my dad got a job with CNN as a political and we made the move to DC/MD. After being here for so long, I have to say, what makes DC home to me is the spring and summer seasons. The cherry blossoms, the monuments in the spring. It is truly a beautiful city in the warm weather months. A perfect day for me in DC is taking my girls to the National Zoo and walking around Georgetown on a warm sunny day. And on a warm Sunday, it is playing softball with friends in the Glover Park Coed Softball League at the corner of 39th and Calvert — a small league with big heart. I wouldn’t say my favorite spot is a hidden gem, but sitting on the steps of the Lincoln Memorial and looking out on the reflecting pool. It’s a wonderful spot early in the morning before the hustle and bustle of the city gets underway. I also love Gravely Point Park. Watching the planes come into national airport is still a thrill. My favorite DC personality has to be Maureen Bunyan with ABC7. She has been a staple of this city in the news industry for decades. I am fortunate enough to work with her and proud to say she has become a friend over the years. A wonderful woman, intelligent, and one of the nicest people I have ever had the opportunity to work with. How would you describe DC sports fans when compared to sports fans in other big American cities? Well I am Chicago fan (Cubs, Bears, Bulls, and Blackhawks). When comparing DC sports fans to other sports fans (like Chicago) it is simply on a different level. DC sports fans are more laid back….of course when it is football season. But as a whole, I think because the area is so transient, it is tough to really rely on a home-grown core group of fans.